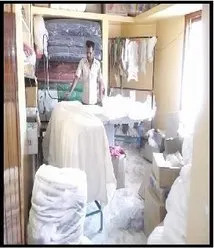 ESTABLISHED IN THE YEAR OF 1989, we have gained wide appreciation in the highly competitive garment industry with our QUALITY AND COMMITTED TIMELY DELIVERY. We are customizing as per customers specification. We have carved a niche for ourselves in the international arena. Being a quality driven organization , we have equipped and time to time changing for latest machinery to reach global market trend. Our success in the industry leverages on our capacity of providing customized solutions, on systematic way of production, timely delivery schedules and ability to handle minimum and bulk consignments which has further led us to earn repeated business orders from our all of high end clients. We ensure that knitted and woven wear offered by us comply with international standards and to full fill our client requirements. Manufacturing, Trading, Importer and Exporter of Fashion Garments. Incorporated in 1989, based in Tirupur, India. One of leading manufacturer & exporters of knitted and woven garments. Specialists in manufacture of Outerwear, Innerwear and Pants (Formal and Casuals), Shorts, Shirts, Denim Wear, Swim Wear, Active and Sports Wear. 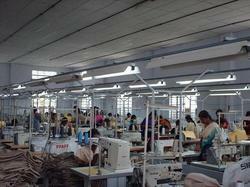 Capacity to produce and export 2 million Knit & 1 million Woven apparel per month. Nearly 100 skilled, highly skilled employees, designers and craftsman. A full fledged in-house design team creating and developing exciting collections each and every season. We will be take as per buyers aql. We can submit buyers all required testing time to time in processing 9. Our Web presence is targeted at simplifying the whole process of business communication and dealings. In order to know more about our products and us, please feel free to ask; kindly send the duly filled query form and our responsive customer care team will revert back to you at the earliest. We have developed our capabilities of manufacturing knitted , Woven and other apparels as per the customized styles, designs and other specifications provided by our customers. The expertise of our designers and associated workforce enable us, to understand and meet the specified order demands. Our expertise in designing stylish knitted garments and other knitted fabrics as per the tastes of customers of both Indian and foreign origin has helped us to successfully meet the varied needs of our clients. 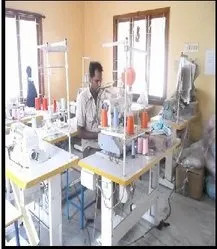 Our well developed manufacturing facilities. Best quality of our range. Capability to deliver in customized finishes. Expertise in meeting both bulk & small order demands. Availability at reasonable market prices.